17 Sep 2018 --- French dairy group Lactalis is looking to further expand in the infant formula market, with the acquisition of the infant nutrition business of South African company Aspen Pharmacare for €739.8 million (US$860.7 million). Lactalis is a privately owned, global leader in the dairy industry with revenue of €18.4 billion (US$21.4 billion) sales in over 200 countries, approximately 80,000 employees and 246 industrial plants in 47 different countries. Lactalis’ strategic intent is to develop a global infant nutritional business to complement their existing global product range. The transaction is considered to be a “compelling opportunity for both the transferring Aspen employees as well as the shareholders of both Aspen and Lactalis,” according to Aspen. The deal includes Aspen’s brands Alula and Infacare which are present in areas including Latin America, Sub-Saharan Africa and Asia. The unit has production sites in South Africa, New Zealand and Mexico. Aspen believes that Lactalis’ entrepreneurial spirit and commitment to developing a leading global position in infant nutrition will provide the Nutritional Business and the transferring Aspen employees with exciting future opportunities for growth and development. The deal is expected to close in the first quarter of 2019 and according to Aspen, will allow it to focus on its main pharmaceutical operations. The move sees Lactalis revive its nutrition unit following a scandal earlier this year in which it was forced to remove 12 million boxes of baby milk formula from supermarkets in 83 countries in response to an outbreak of salmonella. You can read more on this here. The dairy firm may now aim to profit from the rising demand for infant formula in China as consumers continue to look towards alternative brands. It has been ten years since the melamine milk scandal in China, which led to six infant deaths and affected thousands more in the country. 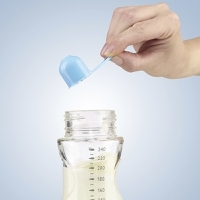 The contamination scandal dented consumer trust in domestic infant formula brands.